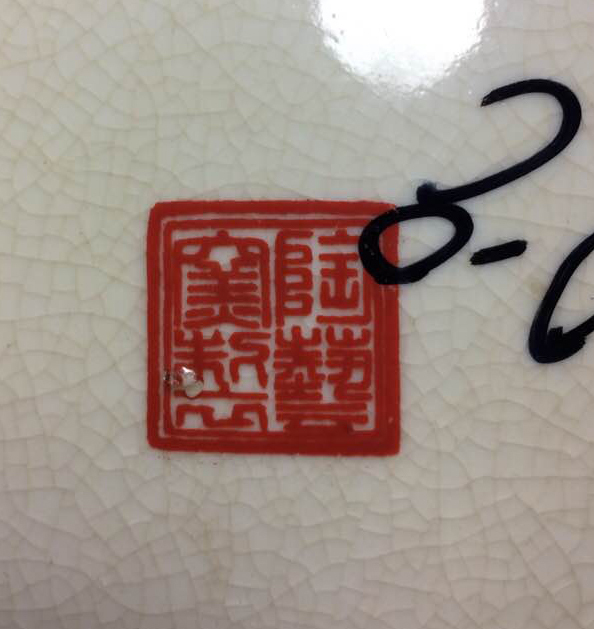 I've had a lot of fun searching for the meaning of this mark on a stunning tureen with top and spill plate. Since the mark is red, most likely a rubber stamp, could be early 1900s. Probably "peoples ware." Anybody have any further ideas?? Let me know. I'm not sure if I should use for food or a nice special centerpiece for the holidays. If anyone can help me translate the mark, that would be great! I think the mark reads from the top right down and across in a somewhat generic fashion as "Made by the Ceramic Arts Kiln". This would be "Taoyi yao Zhi/陶藝窯製 " in Mandarin Chinese, or "Toge gama sei" (perhaps) in Japanese. Google produced no hits on the mark with "Zhi/製/made" included, either in standard or simplified characters. 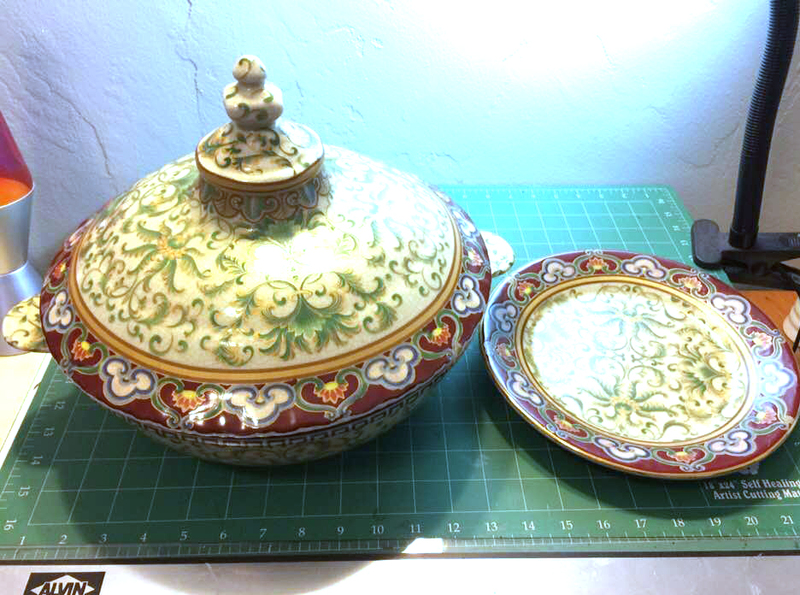 The motif on the tureen jogs memories of patterns seen on wares of a Hong Kong contemporary manufacturer, the United Wilson Porcelain Company, which decorates ceramic blanks from Mainland China. Thank you so much. Researching and learning about this object has been a wonderful experience.